The wireless doorbell is a genius invention, especially as it can be placed absolutely anywhere without an issue. Affordable and easy to install, they make a stress-free alternative to the classic wired doorbell. So, if you find yourself missing deliveries because you can never hear them knocking on your door, the wireless doorbell might just be the solution you were looking for. In this guide, we have gathered some of the best wireless doorbells on the market, alongside the relevant wireless doorbell reviews, helping you to choose one that is perfect for you and your home. his means that the interior beauty of your home does not need to be compromised by wires running across your walls. This also makes the installation process incredibly easy and straightforward, so anyone can install one in their home. Wireless doorbells also tend to be much cheaper than wired ones, due to them having less parts and being less complex in terms of their design. 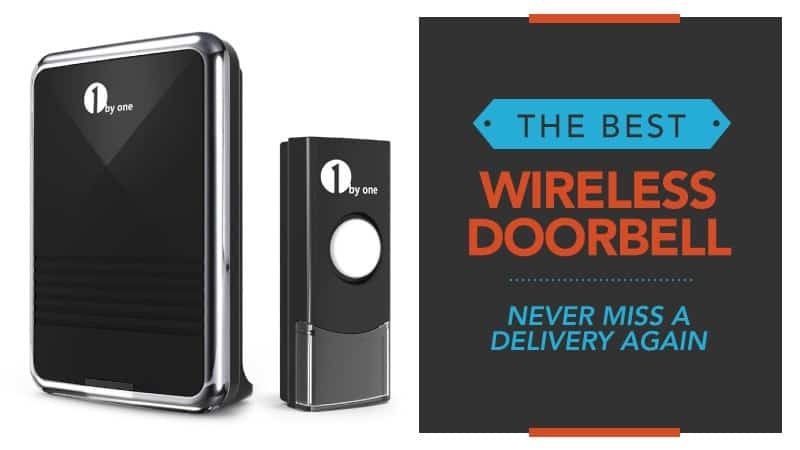 So, if you need a doorbell and are on a bit of a budget, a wireless one gives you the best of both worlds. Many wireless doorbells also offer some added security for you in your home. This is because the majority of them have panels that let you know who is outside – so you only need to answer or open the door if you know who it is. Some even have a video feature so that you can see everything that is happening outside and speak through the doorbell if you are not at home. Wireless doorbells are not complex, and the way they work is quite easy to explain. It has a typical push switch that is mounted on or near your front door, and comes with a battery powered ringer that can either be carried around or placed in a convenient part of your home. The switch contains a little radio transmitter that carries short wave frequencies – usually up to 300ft. The two connect, and when someone presses the switch on your front door, it will ring in a place that you can hear it. As with anything, there are a few features that you might want to keep an eye out for when you are choosing your wireless doorbell. The first of these is the chime. You will likely find that there are a number of different sounds that a doorbell can make, and not all of the models will have every option. Listen to the available chimes for each model before you buy to make sure that there is an option that you like the sound of. If someone in your family has impaired hearing, or you have a young child you don’t want to wake up, a receiver with flashing lights can be an excellent option. Illumination indicators can work with or without sound, emitting a beam or flash of light that is clearly visible no matter the time of day. You should also consider the technology that has been incorporated into your chosen doorbell. 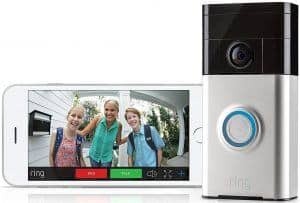 Some are considered smart doorbells and have things like cameras installed so that you can see who is there, and they even connect with your phone so that you can speak to the person at the door even when you are away from the home. Finally, taking into account the number of push buttons and bells that are supported by the model, especially if you live in a large home where sound does not necessarily travel well. Some doorbells support up to six push buttons, where others are unlimited, so you are sure to find one that suits the needs of your home. 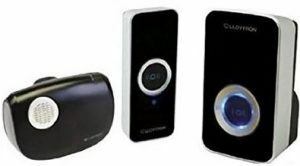 Now that you know everything you need to make the best choice about your next wireless doorbell, have a look at the wireless doorbell reviews below to see if you can find one that is right for you. A leading brand when it comes to home electronics, TeckNet is a company that you can trust. If you are looking for a plug-in doorbell for your home, this could be the perfect option for you. Take a peek at the reviews below and see. This model of wireless doorbell is easy to set up and use, with the receiver being plugged into the mains inside your home for peace of mind. In an open space, it has a range of up to 1000ft, although within a home it is more likely to fall into the 820ft range, which is still excellent. When someone comes to the door, it has an LED light that flashes as well. With 32 different chimes to choose from and adjustable volume, you are sure to have everything you need. The push button can also be attached to the outside of your home using screws or adhesive tape, whichever one works best for you. It is also rated IP33, which makes it waterproof and suitable for outdoor use. Some have found that the sound can be a little tinny, and that there aren’t many chimes that sound like a traditional bell as opposed to melodies. 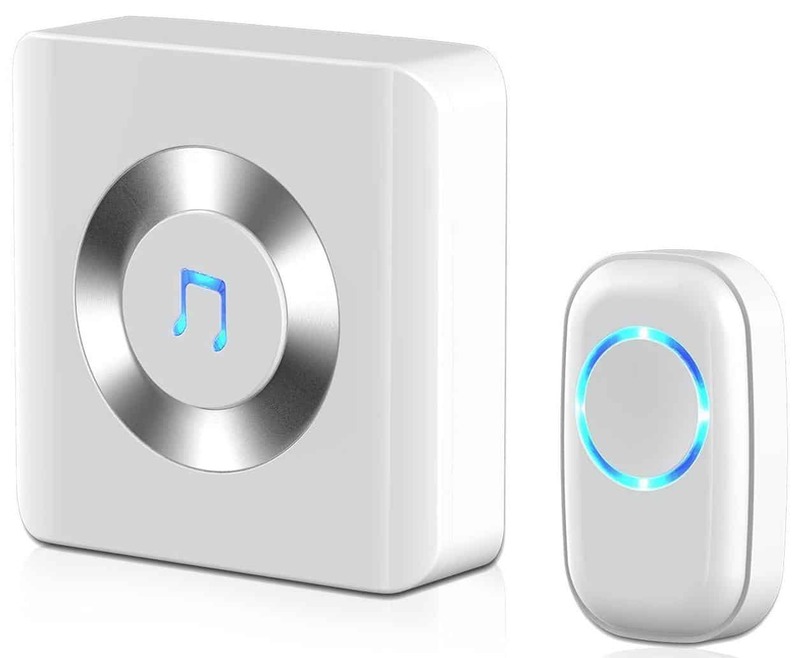 Available at a budget price, this wireless doorbell is suitable for anyone who is looking for a new way to be alerted when someone it at the door. With a range of chimes and adjustable volume, all of the customisation is in your hands. Plus, it is incredibly easy to set up. 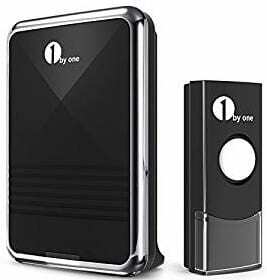 While there have been a couple of issues for some customers, this is very uncommon, and many agree that this is one of the best wireless doorbells you are likely to find. Q: Does this doorbell have the standard ding dong sound as I don't like all of different melodys and songs? 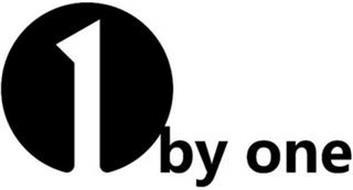 1ByOne is another top name in the audio market, and they are known for producing excellent quality equipment at reasonable prices. If you prefer a wireless doorbell that is powered by batteries, this could be the perfect match. While this battery powered wireless doorbell comes with 36 different chimes, it also has the option for you to add and create your own. The process is very simple too, all you need to do is follow the provided instructions. You can even configure each receiver to play different tones. It is easy to install and comes with the required hardware, which includes screws and adhesive tape so that you have plenty of installation options. It also has an excellent 300ft range, which covers most homes with ease. Additionally, it is IP44 rated, making it waterproof and suitable for outdoor use. Some feel that the sound of the bell is a little too quiet to be heard over normal household noises. Others would have liked a wider selection of chimes. Available at a low price, this wireless doorbell can fit into any budget without issue. While there have been a couple of notes about the overall volume of the ring itself, generally, this wireless doorbell has received a lot of positivity. With some excellent additional features, such as adding your own chimes, it’s a truly customisable doorbell that is sure to serve you well. Another great brand, AVANTEK is a good choice to make when it comes to home electronics. If you have a larger house that needs something with better range, this could be what you’ve been searching for. Take a look at the reviews below and see. This sleek looking wireless doorbell comes with a plug-in receiver that is guaranteed not to interfere with any of the other technology that may be in your home. The transmitter uses low levels of energy, which makes it eco-friendly, and also has a range of over 1300ft – making it perfect for use in large homes. It comes with 52 different chimes to give you a good selection, and it also has five different volume settings so that you can adjust it according to your personal needs. Plus, it has a smart memory that means you won’t need to reset it after a power outage – it will remember all of its previous settings. Easy to set up, it comes with everything you need to get started. The receivers are a little wide and so take up two sockets, which some customers have found inconvenient. 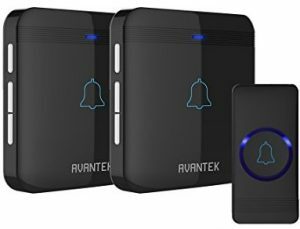 This reasonably priced wireless doorbell may have quite wide receivers, but it certainly has an excellent range that is sure to reach every corner of even the largest homes. It has a great range of chimes and melodies for you to choose from, and even resets itself after a power outage – which is an excellent addition. Available at a good price, this is a great wireless doorbell to go for. We could all do with an extra level of safety, and wireless doorbells with video cameras offer just that. Allowing you to see who is at the door means that you know who is there at all times. Take a look and see if this is the safety measure you have been searching for. 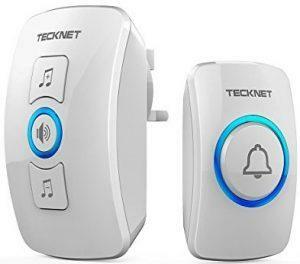 The great thing about this wireless doorbell is that it works with WiFi, so whether you are sitting in the living room or out doing your grocery shopping, you will receive alerts and be able to see who is at your door. Plus, it has motion sensor technology for those who decide not to ring the bell. You can power it using the rechargeable batteries that are built into it, or by wiring it up to your existing doorbell cables – the choice is yours. Plus, it is very easy to set up, and you will have everything synchronised and working in a matter of minutes. After a trial period, you have to pay monthly to access certain features such as video recordings of those who come to the door. While this is the most expensive wireless doorbell we have listed, it is also well worth the expense. It is quick and easy to set up, but also offers you a range of great features that will leave you feeling much safer and more secure in your home. While there is a little niggle with the monthly subscription, this is not costly and will not impair the use of your doorbell if you choose not to use it. Here are some additional models of wireless doorbell for you to look at, just in case the above options did not quite suit your needs. This budget wireless doorbell features over 50 chimes, so you are unlikely to end up disliking every option available to you. It doesn’t require batteries, so all you need to do is plug the receiver into a power supply for it to start working. For your security and convenience, each of the receivers works with up to ten transmitters, which also makes it ideal for larger homes. Plus, the ringing volume is entirely adjustable, and you can install it very easily with a few screws. This affordable wireless doorbell is another model that plugs into the mains, giving you the comfort of knowing that you aren’t going to need to keep worrying about replacing the batteries. It has the option to control the volume, so you can adjust just how loud the ring is when someone comes to the door. Plus, you have the choice of 32 different melodies, leaving you with an excellent selection that will certainly not disappoint. The doorbell is waterproof, and it also comes with a flashing strobe receiver for those who are hard of hearing or who have young children that they do not wish to wake. Hopefully, you have found a doorbell that appeals to you, and one that will meet your needs. With so many different types available, it is hard to choose the best wireless doorbell, especially as they all have varying features and prices. Whether you are looking for something at a budget price, or a model that is a little higher tech, there is an option here that will suit you perfectly. We hope that you will find it here, and that it leaves you never missing another package from the postman. What did you think of our wireless doorbell guide? Are there any models that you would have liked to see here? We love hearing from you, so let us know in the comments below.